With all the exciting news coming out of 2018’s New York Comic Con, even the most devoted IDW fan may have missed a news bite or two! 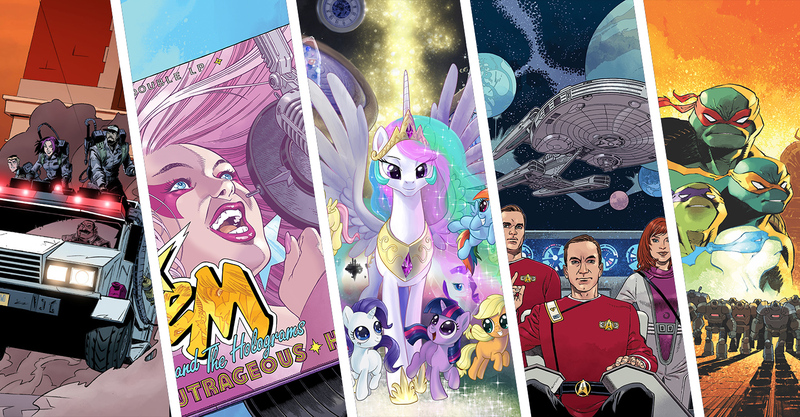 For your enjoyment, we are proud to share the latest updates from IDW and its imprints! In January 2019, the weekly IDW 20/20 event explores Ghostbusters, Jem and the Holograms, My Little Pony, Star TrekTM, and Teenage Mutant Ninja Turtles, revealing startling revelations of fan-favorite characters from 20 years into the future — or past! "A special anniversary like this is an excellent chance to celebrate our achievements – and even more importantly, look to the future,” says Greg Goldstein, IDW’s President and Publisher. “We’re fortunate to have great partners and creators, to share in the celebration — and to have these five sets of characters that have helped place IDW at the center of the pop culture universe!” FULL STORY. The beloved crews of four Star Trek™ incarnations will be pitted against one another in IDW’s mind-blowing miniseries, Star Trek: The Q Conflict. 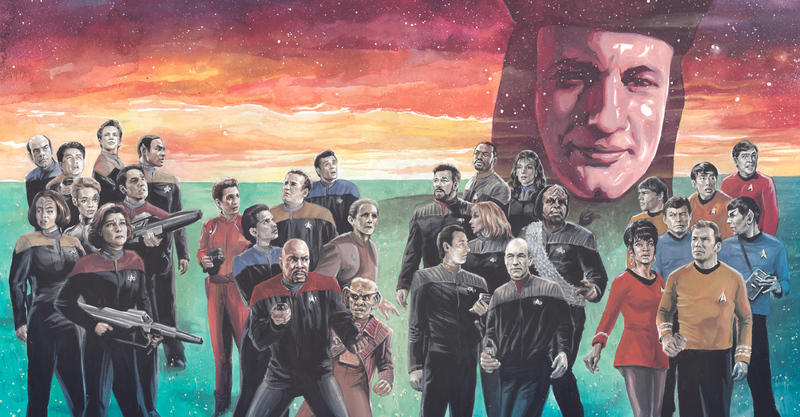 Debuting in January, this epic six-part event features the writing team of Scottand David Tipton (Star Trek: The Next Generation – Mirror Broken) and art by David Messina (Star Trek: Countdown). “This is the biggest Star Trek series ever, spanning starships, centuries, and galaxies!” says co-writer Scott Tipton. “All of Starfleet’s most legendary officers join together for the first time against some of the greatest threats they’ve ever faced!” FULL STORY. New York City will be plunged chaos as four factions wrestle for control. 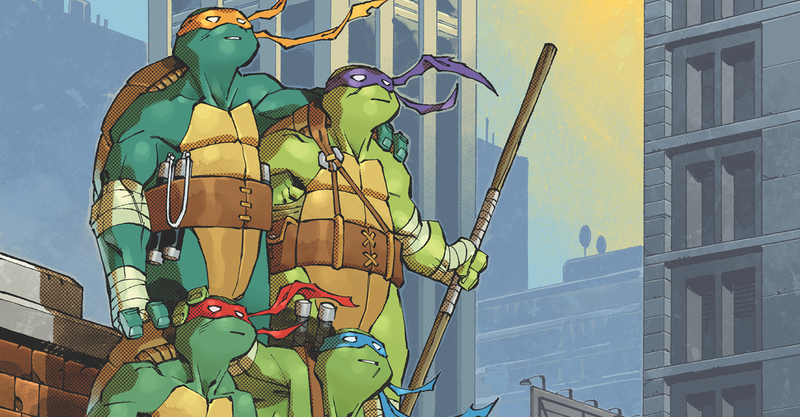 At the center of it all, the Turtles face difficult decisions on how to be true to their individual selves and morals, while still keeping their family together against insurmountable odds. IDW announced at NYCC that Sonic The Hedgehog #13 will be an extra-length issue to bring readers up to speed leading into their second year of publishing. "Year two is going to be huge for Sonic," says editor David Mariotte. "We are upping the stakes with more villains, more adventures, and a new threat that'll loom over the whole 2019 calendar!" To start, Sonic takes a break after the momentous Battle of Angel Island. When Tails receives a mysterious tip that a friend has disappeared, he and Sonic race off into a brand-new adventure that'll put them face-to-face and nose-to-nose with some old foes! 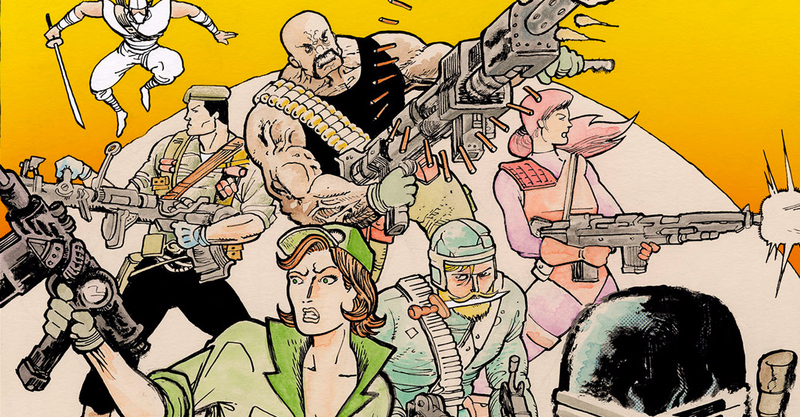 IDW welcomes Michel Fiffe, creator of the critically-acclaimed Copra, to bring his auteur style to G.I. Joe. Written, drawn, lettered, and colored by Fiffe, G.I. Joe: Sierra Muerte will debut in Spring 2019 as a gritty-yet-colorful account of Hasbro’s iconic G.I. Joe team’s quintessential mission. “I wanted to give all of my favorite players a chance to shine in their own unique ways,” says Michel Fiffe. “By creating the entire package, I tap into the personalized core of this classic cast: love and loss, combat and cunning, cheap laughs and high stakes.” FULL STORY. Writer David Barnett and artist Martin Simmonds return with an all-new five-issue series, immediately following the events of Teenage Kicks! “I tried everything to prevent another riotous, three-chord apocalypse — sword, guitar, telepathy, and even the trusty old red pen failed to stop them. They are back!” says editor Shelly Bond. 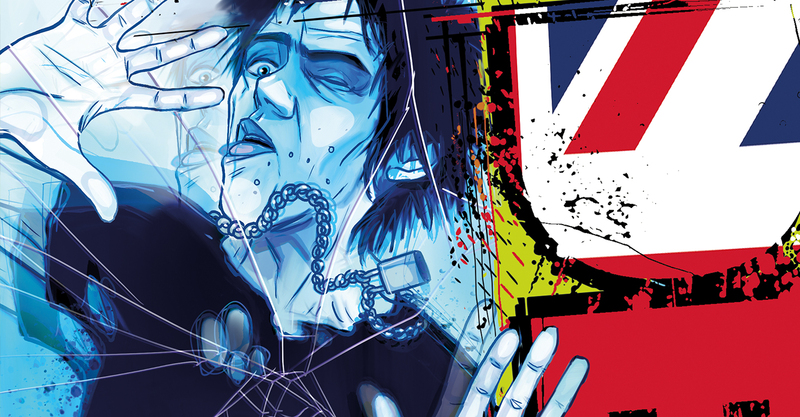 As Barnett reveals, “In Punks Not Dead: London Calling, Fergie and Sid will take the anarchy bandwagon to the capitol in search of one errant father and find one city-sized glue-bag overflowing with monsters, mayhem and millennial angst!” FULL STORY. Top Shelf proudly announces Belzebubs, featuring the irresistible cartooning of J.P. Ahonen (Sing No Evil). 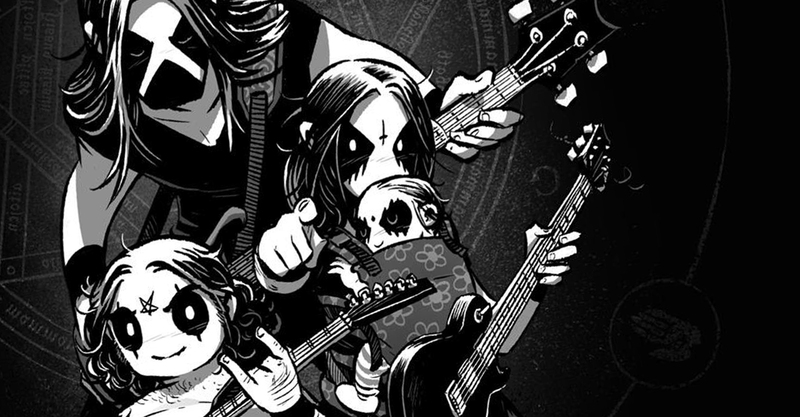 Relatable slice-of-life humor meets over-the-top occult antics and references from metal music to Lovecraftian horror, making Belzebubs a devil of a good time. Belzebubs is a “true kult mockumentary” focusing on the everyday challenges of family life: raising kids, running a small business, and making time for worship. Except the kids are named Lilith and Leviathan, the business is a black-metal band, and the worship… isn’t exactly aimed upstairs. FULL STORY. 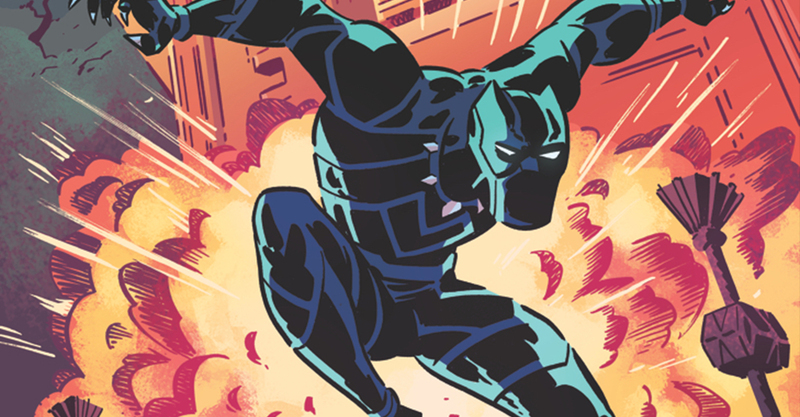 At New York Comic-Con’s “IDW Publishing: The Big Scoop” Saturday panel, Editor-in-Chief John Barber announced that critically acclaimed creator Kyle Baker will helm the all-new Marvel Action: Black Panther comic book series debuting in January 2019. Lose yourself in the technologically advanced African nation of Wakanda and the adventures of its monarch, the Black Panther! Responsible for defending his people and the world from threats, T’Challa gets plenty of help (and playful sibling sass) from his genius sister Shuri. The latest entry in IDW’s ongoing program of Marvel comics aimed at middle-grade readers! 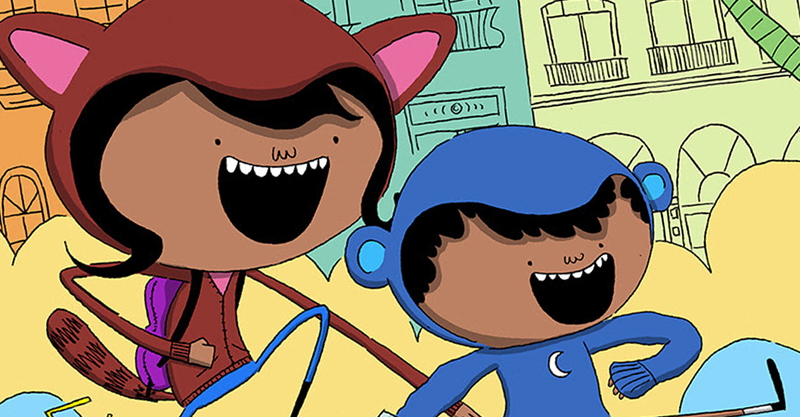 Two Latinx Kids Battle Supernatural Threats in Red Panda & Moon Bear, by Jarod Roselló! 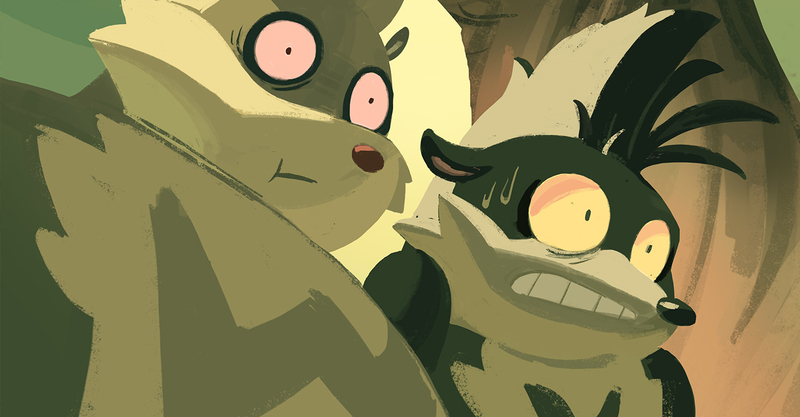 Red Panda & Moon Bear are the defenders of their community! Together, these brave siblings rescue lost cats, scold bullies, and solve mysteries… but lately, those mysteries have been extra mysterious. It'll take all their imagination and new friends to handle the spooks, supervillains, alien invaders, and time warps driving their whole world crazy! In his first book for young readers, Cuban-American cartoonist Jarod Roselló presents a whimsical and tender-hearted adventure, packed with Saturday-morning adventure and glowing with Caribbean sunshine. FULL STORY. 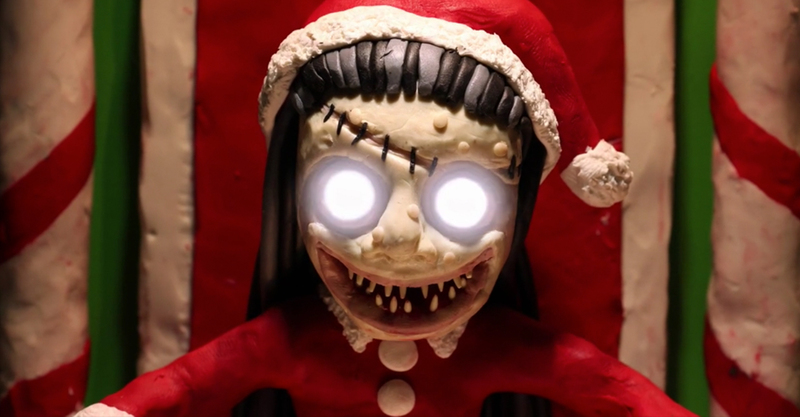 To celebrate the Halloween release of The Beauty of Horror: Ghosts of Christmascoloring book, bestselling creator Alan Roberthas teamed up with visionary animator Trent Shy to produce a must-see, Claymation massacre set in The North Pole. “Trent and I are both huge horror fans and love practical gore effects,” says Robert. “Trent’s ability to take my 2D drawings and adapt them into the 3D space is truly mind-blowing. He really put his own creative stamp on it and created something visually stunning. It’s like an R-rated homage to A Nightmare Before Christmas.” FULL VIDEO. What are you most excited about that IDW is launching? Let us know in the comment section below. Also, don’t forget to Like, Share and Subscribe to all things Constant Collectible so YOU can keep up to date with all the news and reviews from a world of GEEK CULTURE.